#1Submitted by saipan59 on Tue, 2018-06-05 01:43. 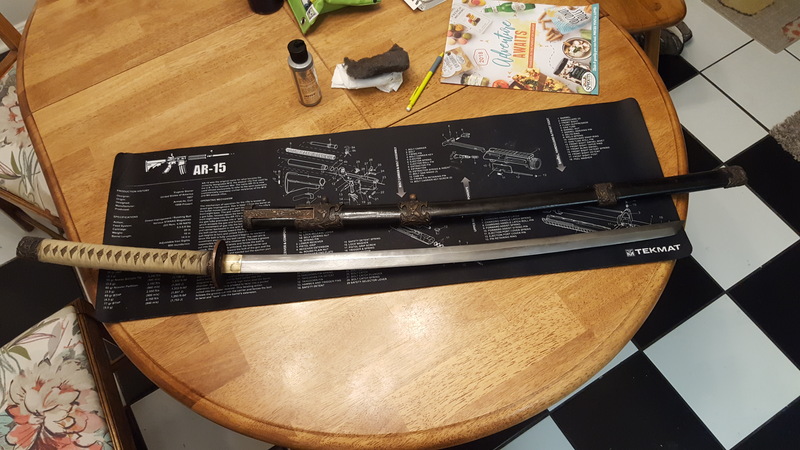 In my opinion, it a Chinese-made fake, intended to look like a Japanese sword (and therefore sell for a high price on eBay to someone who doesn't know better). $25 sounds like a reasonable value for it. As for cutting with it: Be careful! It is likely poor quality steel - not as good as a cheap kitchen knife, just bigger. It might bend, warp, or break easily. 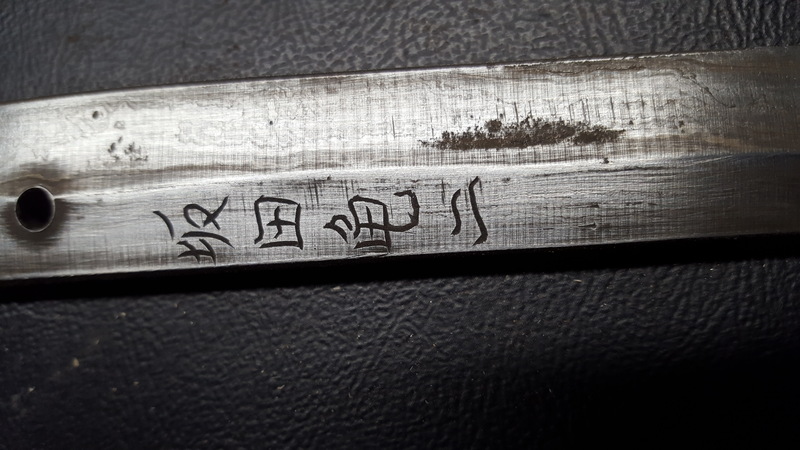 Cheap "damascus" steel is mass-produced in China. Also, check that the handle is solid and tight, and that the mekugi (handle peg) is good. Also, for someone with Kenjutsu experience, the weight and balance may not be so good. #2Submitted by Gnat1021 on Wed, 2018-06-06 22:02.